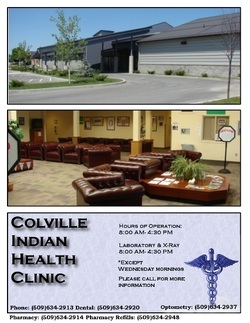 330 Community Health Center, and serve native and non native patients. Comprehensive programs and services are provided at these facilities and include the following: medical, dental, lab, radiology, optometry, pharmacy, and physical therapy. The Tribes provide collaborative and complementary health services in the communities such as mental health, substance abuse, social services, community health, WIC, nutrition, maternal support services and community outreach which are co-located with the health services. confidential, compassionate and professional atmosphere. populations that we serve. The board is comprised of individuals who volunteer their time and energy to create a fiscally and managerially strong organization for the purpose of improving the health status of our communities. one Friday each month 8:00 am – 4:00 pm. LRCHC accepts most private insurances, Medicaid, Medicare, I.H.S. Contract Health Services and Private Pay. Sliding Fee Scale is available. We do follow the procedures established by your insurance policy regarding fees, co-pays, approvals and deductibles. We provide Patient Services and Billing staff to assist with any questions that you might have regarding your fees and any financial obligations. Falls Rd for 23 miles, turn right on to Shortcut Rd. From Republic: South on Hwy 21 for 43 miles. Specialist and hospital services are referred to Mt Carmel Community Hospital and Chewelah Community Hospital, depending on need and patient preference.